In my adult life, I get way too excited about simple things. Like having no plans on the weekend, finding the perfect socks that hug my feet, actually fitting into my pants, and finding fun foods that are new and exotic. Granted, carrots are by no means exotic or new to me, but these colorful and vibrant carrots were literally the highlight of my last shopping trip. What makes boring carrots even better? COLOR!! These carrots taste exactly the same as the carrots we all know and love, but come in a bag filled with yellow, orange and purple roots that, when sliced and served, really dress up your plate. PLUS, when you combine them with a sweet brown sugar glaze…I mean…COME ON, NOW! These carrots are super easy to make and can be whipped up in less than 30 minutes. They’re a fun side dish alongside pork or chicken and are great for serving a dinner party or large group of folks. Cut carrots into coins, about 1/4 in. thick. Set aside. ALL THE PRETTY COLORS! Heat water, about 1 in. high, in saucepan. Add carrots and salt. Cover and heat until boiling. Reduce heat and simmer, covered, for 12 to 15 minutes, or until carrots are tender (you should be able to cut one in half with a fork). In the meantime, combine brown sugar, butter, and orange zest in skillet over medium heat. Stir constantly until sugar is dissolved and mixture is bubbly. This should really only take a minute or two…don’t overcook it as your sauce can burn. Once bubbly, remove from heat. Drain carrots. Stir carrots into brown sugar sauce. Toss to coat. Cook over low heat about 5 to 8 minutes, stirring gently, until carrots are glazed and hot. Every Monday is a “Reci-bee” post, where I share my favorite recipes, recipe collections, and cooking and baking hints and tips. Oh salad…how I love and hate you. I know they’re health and all that, but seriously…WHERE’S THE FLAVOR?? Salads often come drenched in dressing and are packed with veggies that are bland and water-logged. No. Thanks. If I’m gonna jump aboard the salad train, I’m making it myself…and these five stunningly beautiful winter salads are just the ticket! Packed with flavor, color, and nutrients, these salads make great lunches or dinners…or could even be served alongside a chicken breast or pork chop. The great thing about these winter salads is that they’re packed with seasonal ingredients…no where will you find meely tomatoes and soggy cucumbers that are all out of season…these salads feature bright and juicy pomegranate seeds, seasonal nuts and berries, Brussels sprouts, kale, and a whole slew of other vegetables that you can easily find at the store during these cold winter months. So keep in mind that not all salad is created alike. You CAN have a healthy salad that actually tastes GOOD with these tasty and easy winter salad recipes! Well, another Christmas come and gone! The cookies are done, the baking is done, and finally kitchens across the world can breathe a sigh of relief! Though you may be done with baking all your holiday treats, chances are you still have a ton of ingredients left over taking up space in your cabinets…at least I do! I have stuff I only use around this time of year…and now my leftover corn syrup, molasses, and bags and bags of chocolate are taking up space where I SHOULD have actual adult food. Boo to adult food. While most of this stuff will actually keep for quite a while, I still don’t like having it around when I could be using that space for something else…so, time to purge! I’m starting with molasses. I use molasses only for gingerbread cookies, but I don’t need that much per batch, so I’m left with a good amount at the end of my baking. Since I’m so burnt out on cookies, I’m looking to use it on something else…maybe even some savory dishes?? So I did some Googling and found nine excellent ideas for using up that leftover molasses. From side dishes to treats for Fido, these recipes are a great solution to helping you clean out your baking cabinet for the new year! A few weeks ago, I tried Nashville Hot Chicken for the first time. I have been to Nashville before and never heard of it…it took a trip to a local chain restaurant to learn about this amazing, comforting, soul-southing dish that would eventually inspire today’s blog post (it was The Yard House, if you’re curious! If there’s one by you, I highly suggest trying it). I mean, look at this. LOOK AT THIS DISH. Hot chicken, sweet potato pancakes (which could be a meal just by themselves)…this is happiness. Pure happiness. So today’s post is mostly inspired by the discovery of this Nashville delight, as well as a game my dad and I talked about playing several times (but actually never did…but I’m bound and determined to do it with my kids!). So here’s what ya do. Get a map of the United States (or the world for adventurous eaters! )…like, a big one. Big enough to cover your kitchen table. Then use dice, a penny, or any small object you and your kids can easily toss and use the state or country it lands on to inspire your cuisine. Isn’t that fun?! It’s a great way to travel without spending a ton of money and a fun and clever way to introduce kids to new flavors and cultures. Best of all, I’ve done some of the work for you! Below you’ll find 50 amazing recipes representing each state in the US (just click the picture to see the recipe!). So whether you land on Utah or Florida, you’ll have a tasty recipe you can make to get a feel and taste for every state in the US! The Irondale Cafe, located in Irondale, Alabama was the inspiration for the Whistlestop Cafe in the film, Fried Green Tomatoes...and just like in the film, the Irondale Cafe is still known for whipping up some awesome fried green tomatoes. Salmon can be found almost anywhere along the coastlines of the United States, but no state gets better, fresher salmon than Alaska. With natives who have created unique and flavorful recipes that you can’t find anywhere else (salmon candy, anyone?) Alaska is the place to go for fresh, delicious, healthy salmon dishes. According to lore, the founder of the Tuscan, Arizona restaurant El Charro accidentally dropped a pastry in a deep fryer in 1922. She supposedly yelled “chimichanga!” when it dropped, eventually inspiring the name of this popular dish. 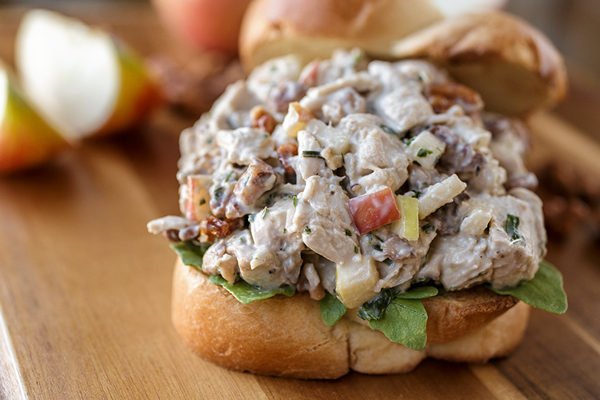 Catfish abound along the banks of the Mississippi River, and the locals of Arkansas know how to turn this bottom-dwelling fish into a stand-out sandwich. Fried, baked, or broiled, catfish dishes make Arkansas a unique destination for seafood lovers. The health craze has hit California hard! Basically anything containing avocado or kale can be considered “Californian”, and when you combine the two, dude…that’s like, totally bitchin’. Chili is a Colorado favorite. Call it the cold weather or the fact that it shares space with some other wild west towns, but Colorado is home to some of the best green chili cooks in the US. A true Connecticut thing, steamed burgers and cheeseburgers use hot steam to cook the patties, resulting in a juicy burger that’s unlike anything you’ve ever eaten! While you can make these at home, be sure to get yourself an authentic steamed burger next time you’re on the east coast! You can find vinegar fries in other places, but no one does it quite like Delaware. The unique flavor of these fries makes them a great side dish to fish. Created and imported from Florida, Key Limes are a product of the Florida Keys and are often used in creating key lime pie. Much smaller than a traditional lime, these limes pack a sour punch! Lovingly named “The Peach State”, Georgia is home to these sweet and tasty fruits, and you can get a taste of this southern state with almost any peach recipe…but this one also features another southern favorite: Bourbon! Serve with cinnamon ice cream for a tasty treat any southern belle would love! Spam is the chicken of Hawaii. Used in practically every savory Hawaiian recipe, spam is a flavor that island dwellers love. It’s a great pairing to pineapple and is tasty just as is after a few seconds on the grill. Often served with potatoes of some kind (shocker), finger steaks are just what they sound like. Small pieces of steak are battered and fried and served like chicken nuggets. A true Idaho favorite, these little finger steaks are fun and tasty to eat. There’s a running joke that Chicago people don’t eat deep dish…only out-of-towners who come to Chicago for the first time. I am living proof that this is not true. I’m a born and raised Chicagoian who loves deep dish, but it’s not for everyone. More like a pie with a thick crust and lots of sauce, this pizza is not for the faint of heart! But it is a tasty treat that takes me home every time I eat it! Indiana is home to tons of doughnut shops (I WANT TO GO TO THERE) with each shop claiming they have the best doughnuts in town. Skip all the drama and make your own at home! Best of all, your kitchen is going to smell amazing! Iowa is true farmland…and pork is abundant here in the midwest. Fry it up and serve it on a bun and you’ve got yourself a midwestern staple that is comically satisfying (I mean look at the size of that meat). Every southern state wants to make their claim to delicious BBQ…and every one of those states has their own style. Kansas style is sweet and spicy and great on chicken. Make your own Kansas BBQ sauce and see if you can go back to the dry rubs of Texas! Born at the Brown Hotel in Louisville, Kentucky, this sandwich features turkey, bacon, and Mornay sauce, a Bechamel sauce made of Gruyere cheese. Served on a piece of crispy bread, this is stick-to-your-ribs comfort food right here. It’s no surprise that the French had a large influence on Louisiana…and these light and fluffy beignets are a product of this influence. Pieces of dough are fried up and covered…COVERED…with confectioners’ sugar and served up nice and hot. I feel like this doesn’t even need an explanation. If you’re in Maine and you DON’T get a lobster roll, you’ve missed out on one tasty experience! Granted you can easily find crab cakes in any east coast state, but Maryland takes crab cakes seriously. For the freshest and best-tasting crab cakes, look no further than Boston. Whether you call it chowda’ or chowder, there’s no denying that Massachusetts is home to come of the best chow on the planet. Often served with potatoes and bacon, this soup will warm your insides on those cold northeastern winter nights. Containing meat, a veggie, and potatoes all in one pastry, the Michigan pasty really is a meal all in itself. Originally used by miners and laborers as a way to essentially eat on the job, these meals are hardy, filling, and comforting. You can find authentic pasty shops all over Michigan, particularly in the northern parts of the state. If Fargo taught me anything, it’s that Minnesota does not mess around when it comes to winter blizzards. Since weather in Minnesota can be very sketchy, sometimes people are stuck with making a casserole from whatever is on-hand…thus, the Minnesota Hot Dish. Often served with hash browns or tater tots, this is one casserole that will satisfy every guilty pleasure. Chocolate lovers rejoice! This ooey gooey pie is a slice of heaven. Thought to have originated in Mississippi, this pie often is served with ice cream and is the perfect ending to a light summer meal. St. Louis holds claim on the creation of toasted ravioli. A delicious appetizer or snack, toasted ravioli is often made with cheese-filled pasta, seasoned and baked and served with fresh marinara sauce. Montana and Idaho are great places to find the tasty huckleberry. Similar in taste to the blueberry, the huckleberry is used to make everything from medicines to jams. Thought to have come from Omaha, the Ruben is a popular sandwich consisting of corned beef and sauerkraut. Often grilled on buttered rye bread, this sandwich can be found in several restaurants across the country…but a homemade one is always best! Though Nevada doesn’t have a traditional food, the shrimp cocktail is somewhat symbolic of the Vegas culture. A great appetizer or light dinner, the shrimp cocktail can be as simple or as elaborate as you’d like it to be! Known for apples and maple syrup, New Hampshire is the place to go for hearty and tasty dishes…and this yummy recipe combines them both. Served with potatoes and peas, this dinner will fill your kitchen with delectable aromas. A large Italian population makes New Jersey the place to go for great Italian food in the US…and the hoagie (or hero or sub) is a New Jersey staple! Filled with meat and cheese and delicious Italian spices, this sandwich is worthy of at least a few fist pumps! New Mexico is home to the green chili pepper, and this stew is a great way to highlight the flavors of this tasty ingredient. Use whatever meat you’d like in this stew and serve alongside tortillas or cornbread for a dinner your family will love. Cheesecake may look light and fluffy, but this dessert is anything but! Decedent and creamy, New York style cheesecake often features a simple strawberry glaze and garnish to finish it off. Another state trying to lay claim to amazing BBQ, North Carolina has it’s own style of treating pork and chicken. Featuring a tangy sauce made from a few spices and vinegar, North Carolina BBQ is a unique and delicious take on this southern favorite. Kuchen comes from the large German influences in North Dakota. You can make it with almost any fruit you’d like, and every Dakota grandma has her own go-to recipe. Served in bar form or as pie slices, this dessert is a Dakota claim to fame. These Buckeye candies are an Ohio favorite. Featuring two of my favorite flavors, chocolate and peanut butter, you can find these tasty treats at almost any Ohio football game. Part of the state meal of Oklahoma (yes, that’s a real thing), fried okra is a southern favorite. Sometimes battered and fried, sometimes stuffed and battered and fried, because–why not?–fried okra makes a great side dish if you can find it in your local grocery store. Oregon is home to several amazing breweries, making these beer marinated drumsticks a wonderful taste of the west coast. Serve with an ice cold IPA for a true Portland experience. Pennsylvania dwellers take their cheese steak sammies seriously. With several restaurants offering up the same sandwich, each spot has loyal customers that swear that their restaurant offers the best option. Thankfully, you can avoid all the back and forth and just make amazing cheese steak sandwiches right from the comfort of your own home! Another popular east coast snack, calamari is best served in Rhode Island. Rhode Island calamari features a lighter coating and sometimes has a little spicy kick. A true South Carolina stable, shrimp and grits can be found at almost any restaurant in the south. Rich and comforting, this dish is just as comforting as it is delicious. Featuring cubed red meat served on a skewer, chislic is a dish commonly served in South Dakota. The meat is often grilled or fried and can be anything from beef to lamb. A local specialty of Nashville, hot chicken is basically fried chicken with a spicy batter. Often served with a side of ranch dressing, this spicy chicken is a serious game changer! There’s no better place to get beef brisket than Texas. I mean, look at that slice!! Served just as is or piled high on a sandwich, Texas brisket is a meathead’s happy place. A popular Mormon dish usually served at after-funeral dinners, Funeral Potatoes feature all the things that make your soul happy: potatoes, cheese, cream, and butter. These potatoes are great if you need a little pick-me-up, no matter what the reason! Do yourself a favor and throw out any syrup you have that’s not directly from Vermont…because once you taste the real thing, you’re not gonna go back. These no-bake cookies allow the real flavor of Vermont maple syrup to shine through and they’re sure to be a hit with kids and adults alike. Yes, it sounds weird…but peanut soup is a Virginia staple, and has been since the days of colonial Williamsburg. Thick and satisfying, this soup is great for cold winters and is also a popular staple in African cooking. Cherry pie may seem pretty universal, but pie made with Sweet Rainier cherries…that’s 100% Washington state! Sweet and beautiful in coloring, Sweet Rainier cherries grow in Washington state and are tasty baked, cooked, or fresh off the tree! A strange, yet satisfying food, pepperoni rolls can be found all over West Virginia. They all feature pepperoni slices baked inside loaves of fresh bread and can come with any variety of cheeses or other additions. I think I’d be hard-pressed to find a more Wisconsin-themed recipe. Bratwurst…beer….cheese…pretzels….this pot pie features all the amazing flavors of this dairy state…and served with a nice stout, this pot pie will help you get through even the toughest midwestern winter. The cowboy state deserves a proper cowboy recipe. Bursting with bold and strong flavors in a hearty stew, this cowboy chili is a guaranteed winner the whole crew is sure to enjoy. The coming of fall means one of my favorite fruits is in season…HONEYCRISP APPLES. Tasty on their own but super easy and fun to bake with, Honeycrisp apples have become a favorite apple breed for kids and adults alike. They are super sweet, making them a tasty and healthy treat for kids, and they’re packed with a high water content, helping to fill you up with fewer calories. Like the Jazz and Jonagold apples, Honeycrisps are great for using in pies and in any recipe where you want to add a little refreshing taste and texture. Celebrate fall and rejoice in the tasty loveliness of these amazing apples with these 11 Honeycrisp Apple Recipes! This. Drink. Is. Beautiful. Hello new Christmas spritzer! What goes better with apples than caramel? Look how oooooy goooooy these are!! 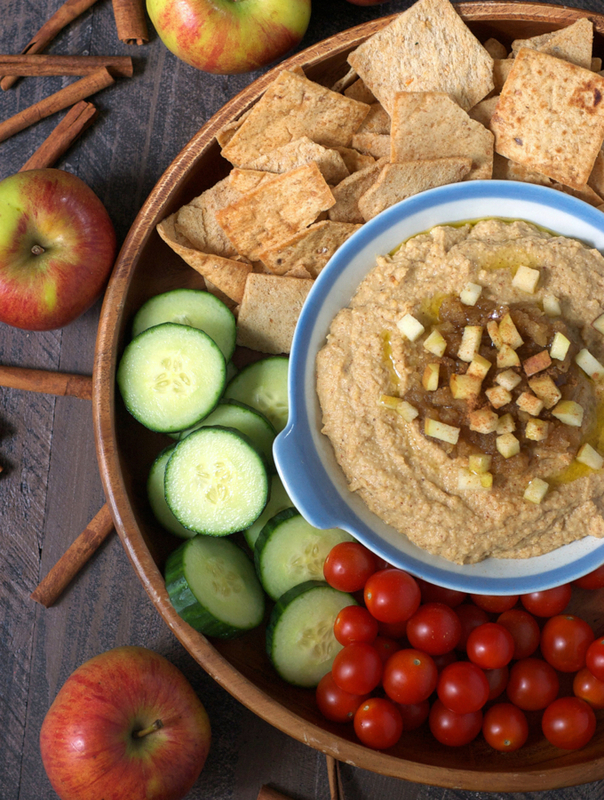 This is the perfect dip for fall football games and blustery movie nights. 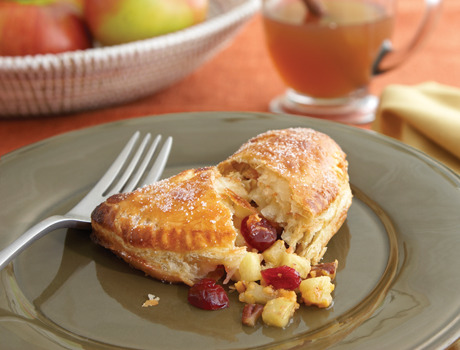 Packed with cheddar and cranberries (two flavors that LOVE apples), these turnovers would be tasty for breakfast or dessert! 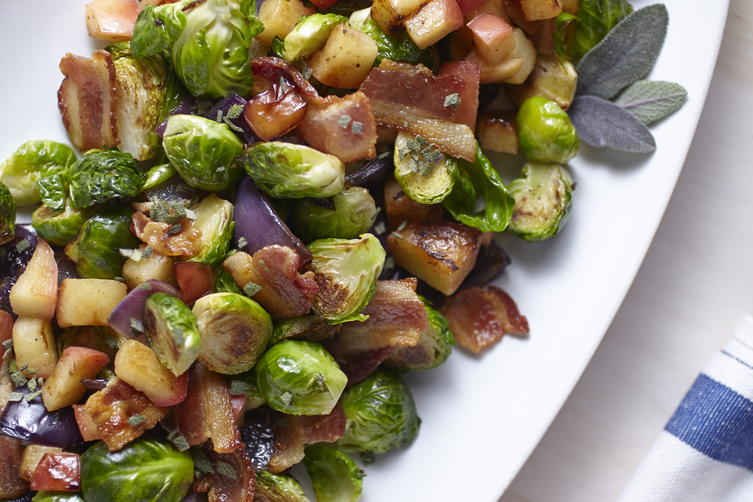 The perfect compliment to pork, this flavorful side dish is packed with bacon, onions, apples and sage. YES PLEASE! Simple and rustic, this tart screams fall! A delicious salad that will feed a family, this dish also features walnuts, cranberries, and blue cheese (I’d use goat cheese). I’ve made this loads of times and it’s always delicious! If you’ve never had homemade applesauce, you’re missing out. 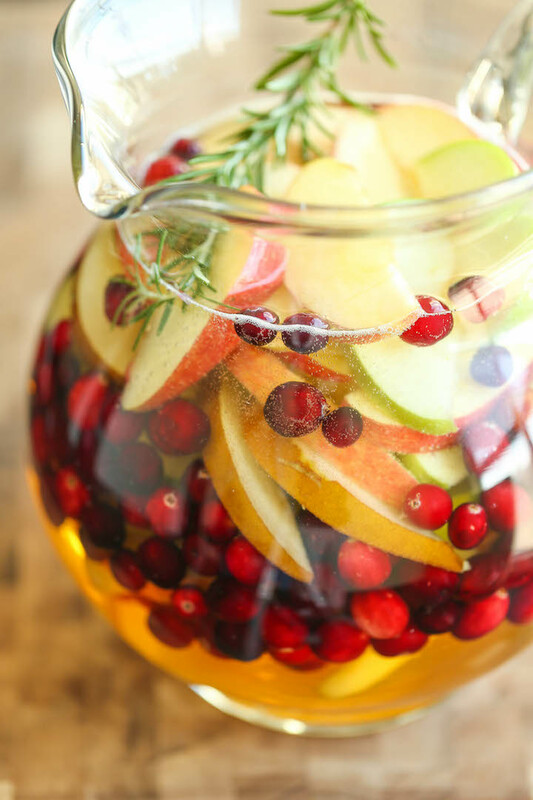 PLUS Honeycrisps are so sweet that you don’t even need sugar for this recipe! Another recipe featuring cheddar and bacon, these quesadillas are a game-changer. Packed with flavor, this is one sandwich that screams fall! Known for its numerous health benefits and mineral content, kale has become a favored wonderfood for everyone and anyone who is trying to eat healthy or lose weight. It’s packed with vitamins and nutrients, it’s versatile and delicious, and best of all…very forgiving. It’s pretty hard to screw up a kale recipe…so it’s a great ingredient for those who are a bit intimidated to start cooking more “exotic” dishes. My relationship with kale is fairly new…I only recently discovered it and the bond was instantaneous. If you’re looking for some easy and delicious starter recipes to see if you have a taste for kale, check out Kale Tortellini Soup and Fettuccine with Sausage and Kale. Both are easy and quick to make, so they’re great for weekday meals and last minute dinner ideas. If you already know that you love kale, you HAVE to check out these other amazing recipes. Who would have thought that kale would be the perfect addition to everything from mashed potatoes to avocado dip! 4. Crustless Kale Quiche from Ingredients, Inc.
No summer BBQ is complete without corn on the cob. It’s fun to eat, easy to cook, and can be the perfect compliment to almost any summer menu. Puree 2 garlic cloves and ¾ cup olive oil in blender. With machine running, add 1 cup packed fresh mint and ¼ cup packed fresh basil; puree for 1 minute. Brush corn with pesto; season with coarse salt. Combine 2 teaspoons chili powder, 1 teaspoon ground toasted cumin and 1 teaspoon coriander seeds, and ½ teaspoon coarse salt. 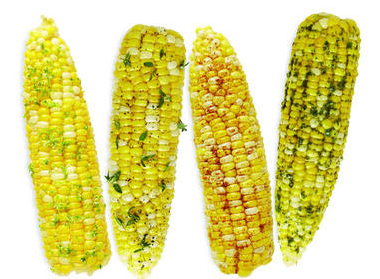 Brush corn with olive oil; sprinkle with spices. Brush corn with olive oil. Sprinkle with 1 tablespoon fresh thyme; season with coarse salt and freshly ground pepper. Combine 1 tablespoon finely grated lime zest (from 2 limes) and 2 teaspoons coarse salt. Brush corn with olive oil; sprinkle with zest mixture. The Hob-bee Hive · A place to create, laugh, and bee happy.